NFL.com’s Tom Pelissero reports that Louisiana Tech DE Jaylon Ferguson will have an official team visit with the Philadelphia Eagles. 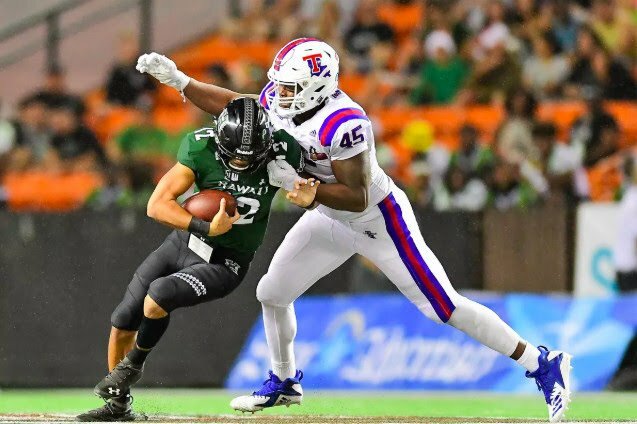 Also visiting the #Bills today: Louisiana Tech edge Jaylon Ferguson, who heads to #Giants next, then #Colts and #Eagles, with #Cowboys, #Titans, #Rams next week. One of the most well-traveled prospects in this pre-draft process. While the Eagles have a need for young defensive end prospects to develop, Ferguson is a prospect who services could be called on day two of the NFL Draft. The NCAA’s all-time sack leader (47) brings with him quite the resume, with 68 tackles for loss as well. With that being said, Ferguson pre-draft process hasn’t gone as well as he would have liked it to be. Prior to the NFL combine, the NFL decided to partially ban Ferguson for a fight he had his freshman year in college. Ferguson had a simple battery conviction and was charged with public intoxication, which was the reason he was not able to perform at the combine. He did get to quickly interview with teams while he was in Indy, but missed out on potential quality time with teams. It’s one of the main reasons the defensive end prospect is doing a ton of traveling meeting with teams(20 visits scheduled) in the next week. At his pro day, the 6-foot-4, 271 pound Ferguson, was timed at 4.75 seconds on several watches by scouts. Ferguson also posted 32 inches in the vertical jump and 9-foot-10 in the broad. On the bench, Ferguson threw up 225 for 24 reps. Looking at the Eagles roster, perhaps the front office could see him as a developmental prospect that could be a rotational guy to start his career. The Eagles currently hold the No. 53 pick and the No. 57 pick in the second round. So, if the Eagles want him at No. 57 there is a good chance he doesn’t make it to round three, with defensive end needy Cowboys picking right behind them at No. 58.